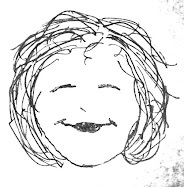 Reasonably Well: They Will Still Say, " I Do"! They Will Still Say, " I Do"! You may have heard or read about a wildfire endangering our beautiful Columbia River Gorge. Which is a tragedy for many many reasons, one being that it is the site of Daughter #1's wedding tomorrow. But the party is ON in spite of the fire, the city in which she will be married is safe, although a bit smoky. Ah, but we Oleiniks carry on. With lots of really really bad puns such as Hunka Hunka Burning Love Wedding. Pictures to follow after I'm recuperated from the fantastic event. 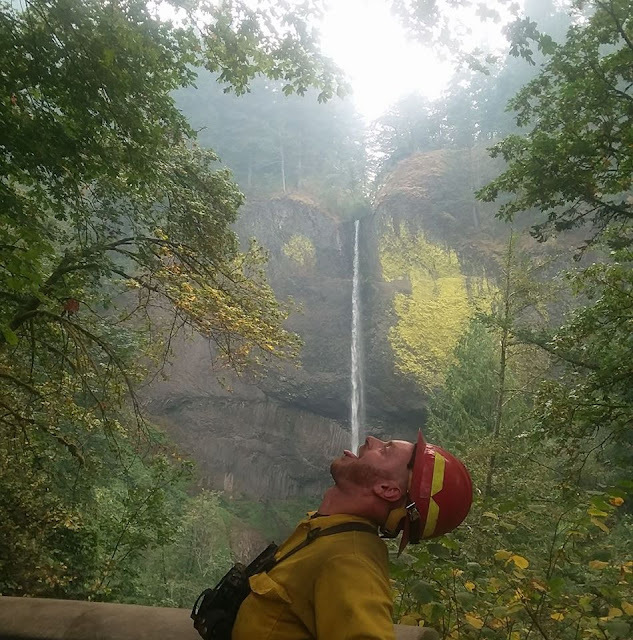 In the meantime, check out this great photo of a firefighter clowning around after he and his buddies saved an iconic area of the gorge. Thank you Thank you Thank you to all those smoky superheroes! I found this on Facebook; so sorry I can't attribute the photographer. Best wishes to you and your family celebrating this wonderful event. Glad that the fires have spared the area. And we have seen how tough the Oleiniks are, at least one of them. Great photo. Kudos to the anonymous photographer. What an awesome picture. Just goes to show that in the face of tragedy and destruction, these smoke jumpers are able to find some relief in humor. What great guys! I'm glad you were spared and were able to enjoy the wedding celebrations. I have a friend near Vancouver (west coast Canada ) where they are also hit with these fires, and it's worrisome.